Story By Meagan Maddox. Edited by Avonni Campbell and Meagan Maddox. Photo by Noah K. Murray. APR. 3, 2019: Do you know Nia Franklin? She was born in Winston Salem, NC and she is an African American. 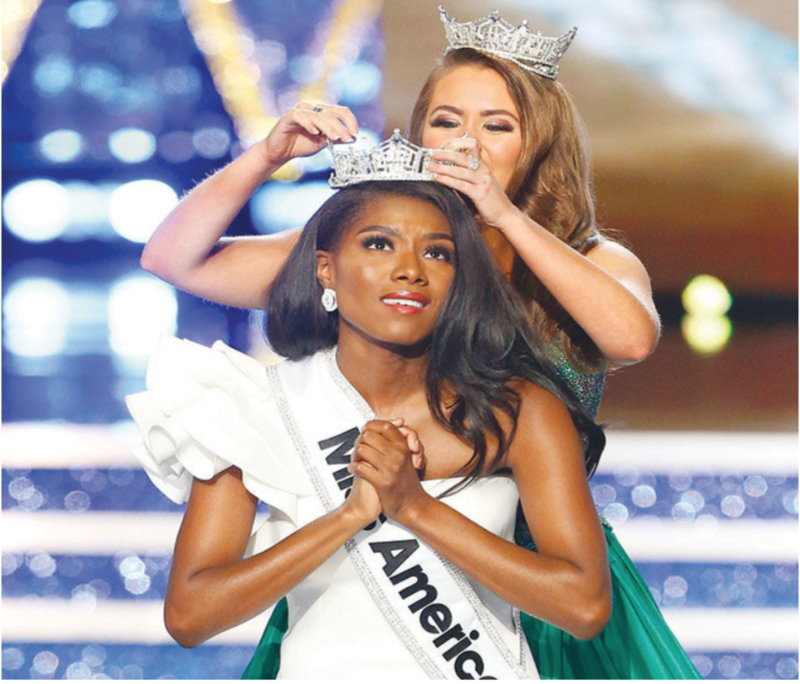 She represented New York in the latest Miss America competition, and was crowned as Miss America in 2019. Why did she join the Miss America Competition? When Nia’s father had cancer and lost his job, she joined because she needed the money to pay for college. Nia said that the “competition is about what you have to offer the world, what you have to offer the organization. Its supporting women about women #weareamerica”. Nia is a great opera singer and artist. Nia actually made her first song at six years old. During an interview on ABC News, Nia said that she wanted little boys and girls to know that opera is cool and you don’t have to be a nerd to do it. She also wanted to represent that African Americans can sing opera since it is known as a stereotype that we don’t. When she had an interview with Sway’s Universe (@Realsway), she talked about being a song composer. She is inspired by Stevie Wonder’s music because it has made the world a better place. Nia also composed a song called, “Treat Me Like” about her favorite ice cream shop in Brooklyn, Ample Hills. She said that her favorite flavor is Ooey Gooey Butter Cake. In her song she says, “Treat me like ice cream on a hot day” . She said that the song is about how you want someone to treat you. Ample Hills creamery is sending us free samples of Nia’s favorite flavor. Stay tuned for our next story telling you about the ice cream. If you were wondering, Miss America’s job is to help out her community by participating in charities and helping to raise money for schools. Nia Franklin is a very nice women who is representing the U.S.A. We should respect her because she overcame many difficult challenges that she had to face. Meagan Maddox and Avonni Campbel are 4th grade scholars at Friendship Southeast Academy.